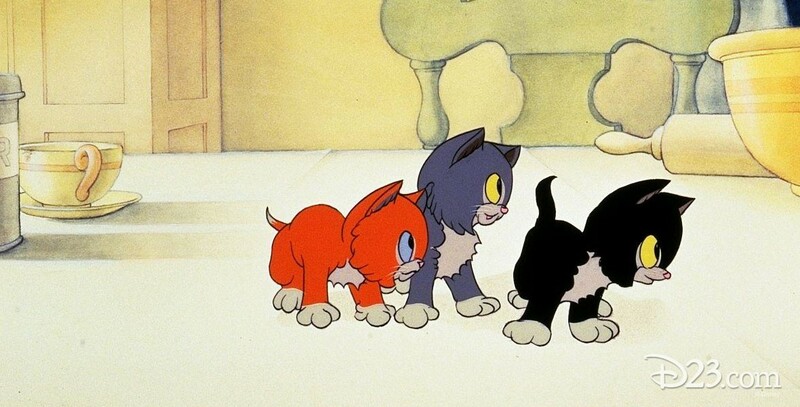 Three Orphan Kittens (film) Silly Symphony cartoon; released on October 26, 1935. Directed by Dave Hand. Remarkable animation design and perspective was created by artist Ken Anderson for this cartoon, which tells the story of three castaway kittens who find refuge in a warm house and get into trouble with the occupant in antics with the furniture and a grand piano. Academy Award winner for Best Cartoon. The film led to a sequel, More Kittens.